Art is in the eye of the beholder, or sometimes in the ear or touch of the beholder. 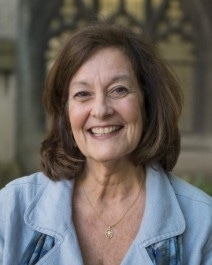 In any case, Cynthia Lindner, who is both a Disciple of Christ minister (as am I) and a faculty member at the University of Chicago Divinity School, speaks of an exhibit at the Chicago Institute of Art on prayer. In this piece, which I invite you to read and contemplate, Lindner takes us into the exhibit and invites us to consider how it might affect us regarding prayer and human life, especially in an interfaith context. What does hearing/experiencing our own prayers and hymns in a room with a blank wall say about who we are as humans? Take, read, and reflect. Ed. Note: Both the Monday and Thursday columns this week feature current and recent exhibitions at the Art Institute of Chicago. In case you missed it, be sure to read Richard Rosengarten's essay from Monday, Native Sons? Of Gilded and Guilty Ages in the Windy City. This autumn, visitors to the Art Institute’s Bucksbaum Gallery for Photography on the ground floor of the museum’s Modern Wing are met by empty white walls: there’s not a single photograph hanging in this gallery dedicated to their display. The mood in the foyer outside the space is decidedly circumspect, giving few clues as to what awaits inside. A modest poster informs passersby that this exhibit is entitled “Prayer,” and that its creator is South African conceptual artist James Webb, but offers none of the erudite interpretation that is commonplace in these halls. The docent stationed outside the gallery’s massive glass doors instructs visitors simply, yet provocatively, asking us to remove our shoes and inviting us to enter the gallery and move around the space however we choose. On one hand, “moving about the space however we choose” is how Art Institute patrons are accustomed to inhabiting these spaces. But the act of taking off our shoes asks something different of us: visitors’ faces register curiosity, amusement, apprehension, uncertainty. On the other side of the threshold, we are enveloped in waves of sound, the recorded voices of Chicago area residents speaking, chanting, and singing their prayers. The casual observer is no more: unshod guests become part of the installation themselves, stepping onto a large red carpet and perambulating among the round black speakers installed at intervals across its surface. Various voices and a variety of prayers and languages emerge from each of the twelve stations simultaneously—a chorus from a gospel choir, a recitation from the Quran, a psalm in Hebrew, a Krishna blessing, a spoken intercession on behalf of those who suffer violence in our neighborhoods. Visitors are drawn instinctively from one speaker to the next, a diverse congregation of strangers on an impromptu pilgrimage. Most finally kneel or settle themselves on the floor in order to hear the recordings more clearly, heads bowed toward the sound, eyes closed in concentration. We resemble the radical egalitarianism of a kindergarten class at story hour, except that these visitors range in age from very young to quite old. The crowd whispers to each other in the array of languages that inhabit Chicago’s neighborhoods; some listen deeply in silence while others’ lips move in synchronicity with the prayers; others hold hands with partners or children. Glancing up from my place in the middle of the floor, I was unexpectedly moved by the tenderness of this living human installation—the courageous lifting and occasional breaking of the recorded voices at prayer, the fidgeting and shifting of bodies unaccustomed to sitting on the ground, the shocking vulnerability of bowed heads and bare feet among strangers. This installation is the tenth iteration of Webb’s “Prayer” piece. An experimental musician and visual artist with a degree in comparative religion, Webb first created the work in his own context—Cape Town, South Africa—in 2000, just five years after his country ended its practice of apartheid. Though Webb identifies himself as agnostic, he explains that he has chosen spoken prayer as his medium because of its potential to bring people together. In Cape Town, South Africa; Stockholm, Sweden; Birmingham, England; and a half dozen other cities around the world, Webb has worked with practitioners to record the prayers of each location in the voices of the local inhabitants. 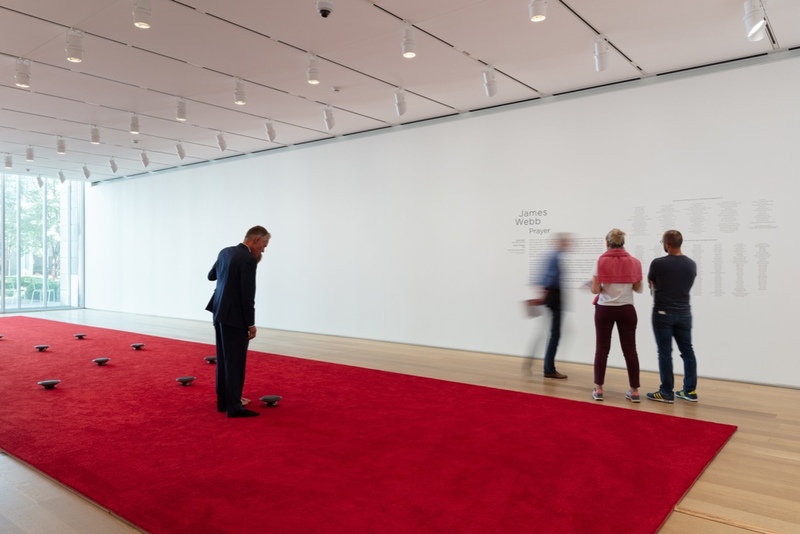 The Chicago installation is Webb’s first North American project and his largest work to date, a collaboration with nearly one hundred faith communities and spiritual affiliates featuring over two hundred voices in a seven-hour recording of continuous prayer. A large poster on the gallery’s back wall acknowledges the contributions of these individuals and communities; a steady stream of viewers stop and read, sometimes aloud, pointing to the names of neighbors and friends they recognize there. Surely the Chicago project approximates Webb’s vision of bringing strangers and neighbors together in mutually appreciative ways, but that prosaic goal does not do justice either to the art of prayer or to the aspiration—the prayer—of art. Natural disasters bring people together. Baseball brings people together (well, maybe next year…). Free food at a neighborhood festival brings people together. So, too, it might be reasonable to hope that interfaith encounters like Webb’s “Prayer” installation will contribute to the healing of our body politic by “bringing people together.” But togetherness is not the same as wholeness: simply regarding each other at closer range is insufficient to assuage our fear of strangers, or to dislodge the postmodern preoccupation with self that permeates our present moment. As I was leaving the space, I passed by a couple energetically describing their impressions of the exhibit to the docent. They identified themselves as “secular,” and reported that they found the project strangely engaging, transgressive and risky. 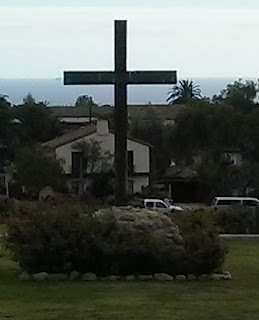 Nearby, a small knot of believers registered a lively mixture of delight and discomfort when they heard their communities’ prayers exposed in this public place. The mutual dislocation of both groups suggests that the act of prayer and the encounter with art share a uniquely humanizing power: their ability to dislodge us from our familiar satisfaction with our own achievements—even that simple achievement of togetherness—by creating a disequilibrium that offers the possibility of realignment, healing, wholeness. Both art and prayer invite us to assume unconventional or inconvenient postures that demand we orient ourselves differently. Whether we encounter a strange new expression of beauty or devastation in one of the galleries of the Art Institute, or are compelled by a cacophony of prayerful voices to remove our shoes and bow our heads in the Bucksbaum room, we confront our own contingency in relation to all that we do not know, our vulnerability before all that is. In our barefooted not-knowing, we recognize the humility that is the true disposition of humanity—a posture we all must indeed share. DIVINITY SCHOOL NEWS: Join us on Thursday, October 18, at the Divinity School for our annual Nuveen Lecture, delivered this year by Prof. Wu Hung ("Miraculous Icons and Dynastic Time: Narrating Buddhist Images in Medieval China"). At the reception immediately following, we will be awarding Alumni Citations. CLICK HERE to read more.